This series will be an analysis of a recent article posted by a blogger who goes by the name G.azelem, entitled Will The Real Elijah Please Stand Up (redux). I am accepting this challenge. In accepting this challenge my goal is not to necessarily prove the author wrong and myself right. Rather I have found that by working with, and often against, the conclusions of others it allows me to deepen my study and understanding of the scriptures. I’m also always grateful for honest feedback and even rebuttals to my own conclusions as it causes me to reevaluate my understanding of things in light of new information, or at least to look at things from a different perspective. I trust that G.azalem will take constructive questions and criticism of some of the ideas he has put forth as a positive and not as an attack on him. It is with this purpose in mind that I will attempt to analyze and even refute some of the ideas brought forth in this article. I will be doing my analysis of the article in several parts, as the original article is quite long. This will hopefully also allow me to make my responses to the author’s claims as thorough as possible. For the purpose of this analysis, the text of the original article will appear in italics and my comments will be in plain text. Right off the bat we have a problem. There is no indication that D&C 86 is referring to Joseph Smith and Sidney Rigdon. 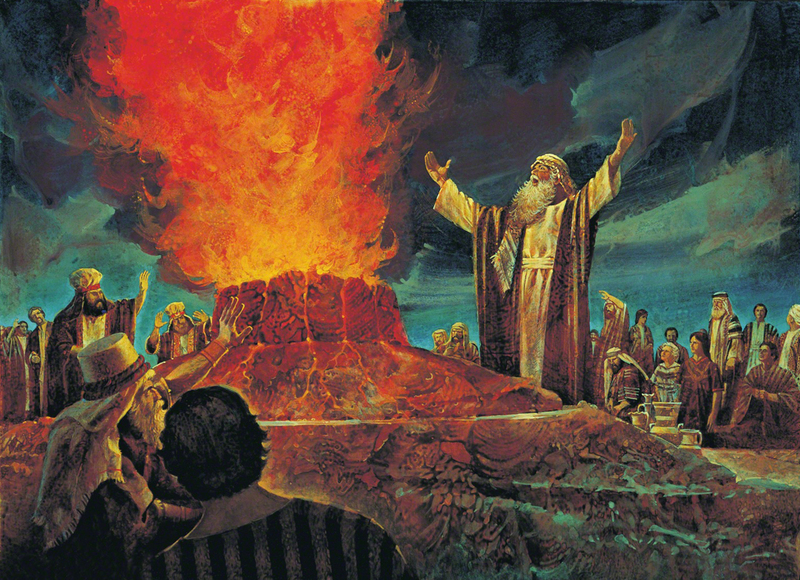 In fact if we look at this revelation carefully we can actually see that it is a prophecy of the future apostasy of the church, after it was restored through Joseph Smith. Let’s take a look at D&C 86. 3 And after they have fallen asleep the great persecutor of the church, the apostate, the whore, even Babylon, that maketh all nations to drink of her cup, in whose hearts the enemy, even Satan, sitteth to reign—behold he soweth the tares; wherefore, the tares choke the wheat and drive the church into the wilderness. Here we see clearly that the apostasy being referred to was a future apostasy not a past one. Verse 3 states after they have fallen asleep, not after they had fallen asleep. After the apostles in this dispensation fell asleep, apostasy would once again set in in a similar manner to the ancient apostasy of the primitive church. The parable of the wheat and the tares is a dual prophecy of the apostasy of the primitive church and also of the restored church. The wheat and the tares must grow together because the wheat was too weak back in the 1830s. This ties back to D&C 105 where the Lord states that the redemption of Zion would have to wait. “But first let my army become very great, and let it be sanctified before me, that it may become fair as the sun, and clear as the moon, and that her banners may be terrible unto all nations” (D&C 105:3). Joseph Smith said something similar in his dedicatory prayer of the Kirtland temple. “That thy church may come forth out of the wilderness of darkness, and shine forth fair as the moon, clear as the sun, and terrible as an army with banners;” (D&C 109:73). The wheat, or elect, needed to mature and grow stronger. This was apparently only possible if the wheat grew together with the tares. Now we get to the real meaning of the verses in D&C 86 quoted above by the author. 11 Therefore, blessed are ye if ye continue in my goodness, a light unto the Gentiles, and through this priesthood, a savior unto my people Israel. The Lord hath said it. Amen. In D&C 86 the Lord is speaking to future Israelites with whom the priesthood has continued since the restoration of the gospel in the 1830s. Their life and priesthood must remain until the restoration of all things. In the meantime they are to be a light to the gentiles and a savior to the Lord’s people Israel. Now what does it mean that they have been hid from the world, with Christ in God? Did/does the world recognize these men as being true Israelites and legitimate bearers of the priesthood and a light unto the world? No, the world does not, just like the world did not comprehend that Christ was the light of the world when He walked among men in the meridian of time. Both Christ and His servants are hid from the world in all ages. The world does not recognize them. In fact many Israelite converts of the tribe of Ephraim in the latter days lived hidden among the gentiles until they were searched out and identified as Israelites when the gospel was preached to them by missionaries, who have been sent out since the 1830s. Because they are of the tribe of Ephraim they are legal heirs of the priesthood and when they accepted the gospel they had the priesthood conferred upon them. Originally these Ephraimite converts gathered with the saints in Nauvoo and later in Utah and the surrounding areas. As time has gone on, and the call to gather in one place has been abandoned by the church, many of them are now scattered among the gentile nations once again. It is these individuals who are referred to. It is not some mystic allusion to some secret hidden identity of Joseph Smith and Sidney Rigdon. The scriptures do indeed say that the weak things of the earth will come forth and break down the strong ones. What does this mean? Are the only weak ones who will break down the strong ones the weak saints from the 1830s and 1840s who failed to redeem Zion at that time? Do they all have to come back to earth and finish the work that was started back in the 1830s in some mystical return from the dead, which has never before happened in the scriptures? Or is it their descendants and other Israelite converts, with whom the priesthood has remained, who will ultimately finish the job they started together with angels who lived in all past dispensations? Furthermore, how can we make a broad sweeping declaration that the weak things of the earth called in the early days of the restored church “did not achieve their mandate” and that they must return to the earth to finish it”? The Lord knew exactly what would and would not be achieved in the 1830s and 1840s. The early saints did lay the foundation for the final restoration of all things which will happen when the marvelous work and wonder happens. In what capicity those early saints, who have long been deceased, will participate is a mystery. Will they again take on mortal bodies to finish their work? Seeing how there is no scriptural pattern for such a claim, this does not appear to be a plausible conclusion. Nor do we have any way of knowing which of the saints of the 1830s and 1840s will participate in the marvelous work and wonder. Who will participate as angels in the final work will be up to the Lord and will be contingent upon the worthiness of those individuals to be counted among the elect from all ages who will dwell on earth during the millennium. What unconditional promises are being referred to here, which the author believes the reader may not accept? The Lord has promised many things in the D&C and other scriptures. The greatest promises are the promised redemption of Zion, destruction of the wicked, the return of the Savior in glory, the millennial rest, and eternal life for the truly faithful. We have the assurance that these things will come to pass. I’m assuming that the author is referring to the fact that individuals were called in the D&C to participate in this work, and that he believes that these callings constitute “unconditional promises”. It must be remembered that “many are called, but few are chosen” (D&C 121:34, 40). Which means that just because someone was called to do a work, there is no guarantee that they will be chosen to actually fulfill it. Many are called, but few are chosen. The Lord has also stated, “I, the Lord, am bound when ye do what I say; but when ye do not what I say, ye have no promise” (D&C 82:10). Just because the Lord has promised us something individually, this does not mean that it will come to pass. All promised blessing are contingent upon us doing the Lord’s will. If we do not do what He says, He is not bound, and we have no promise. The same principle applies to the individuals given promises by the Lord in the D&C. We must also remember that prior to the millennium, or right at the beginning of it, the righteous saints who have gone before shall descend upon the earth and the righteous saints living on the earth shall be rushed up to meet them. Surely the righteous saints from the early days of the restoration will be there and participate as prophesied. It must also be remembered that there will be a great many angels who will participate in the gathering of the elect to Zion. Surely righteous saints from the church in all ages, including the 1830s and 1840s, will be among these angels. Previous Post Can translated and deceased individuals be born again onto this earth to fulfill a second mortal mission?